Every business starting out plans to grow their big ideas. We started IGBB Marketing for the sole purpose of helping you tell the world about your business without breaking your bank account. We specialize in cost-effective digital and print marketing efforts that provide the best rate of return so your business can truly Be Big! Start small but plan BIG! Marketing a new business isn't easy but we can help. 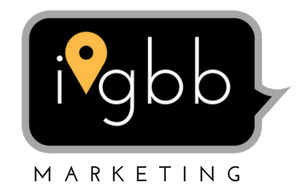 Using social media, digital advertising, website assistance and email marketing, IGBB Marketing will help your business grow, succeed and stay on budget. IGBB Marketing has traveled the world and knows small businesses from Paris to NYC and within small towns like Loveland, Colorado. Digital media provides the global platform to launch your ideas from anywhere. Let us help to make yours BIG! We like to practice what we preach and are on these social media sites to promote IGBB Marketing. Follow us and receive our small business tips, marketing ideas and to simply stay in touch.